I’m trying not to get upset that I won’t be able to attend Omar Sosa’s free concert next week, March 25, 2009, at the Inter-American Development Bank in Washington, DC. 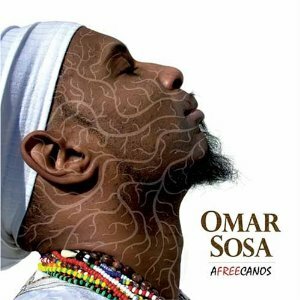 I stumbled upon Omar’s work about a year ago now when I was studying Carribean and Afro-Cuban Jazz rhythmns. Let’s just say I was blown away with the way he melds modern world music, jazz, and Western Africa together in one big yummy dessert. Yeah. It’s like that. I like to just call it magical. You can pick up Afreecanos and preorder his upcoming album, Across the Divide: A Tale of Rhythm and Ancestry , to be release on March 25, 2009 at Amazon. This event is free, open to the public and held at the Enrique V. Iglesias Conference Center, 1330 New York Avenue NW, Washington, DC 20577, and one block from MetroCenter. Photo ID required. Business casual attire. Seats are unreserved general admission with only 380 seats available. Young people 8 years and older are welcome.